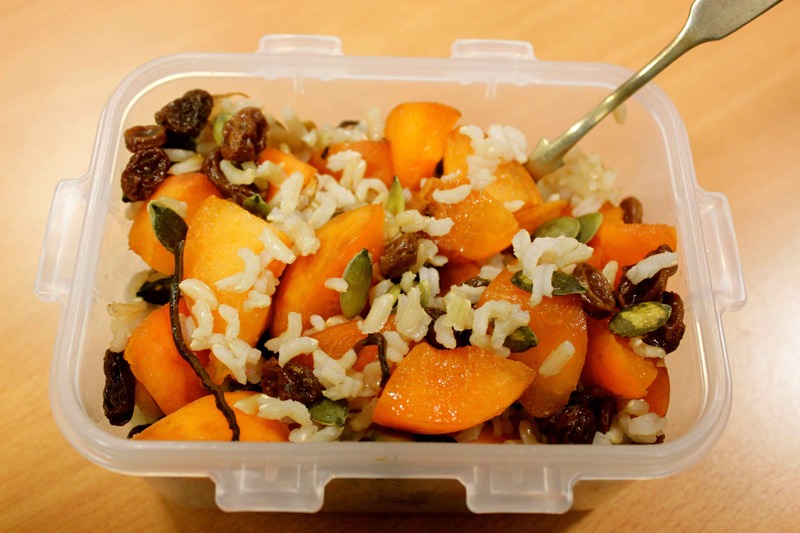 Apart from the apricot I had a very macrobiotic breakfast of brown rice which I cooked with arame seaweed last night, plus 2 chopped up fresh apricots, some raisins and pumpkin seeds. Surprisingly tasty. 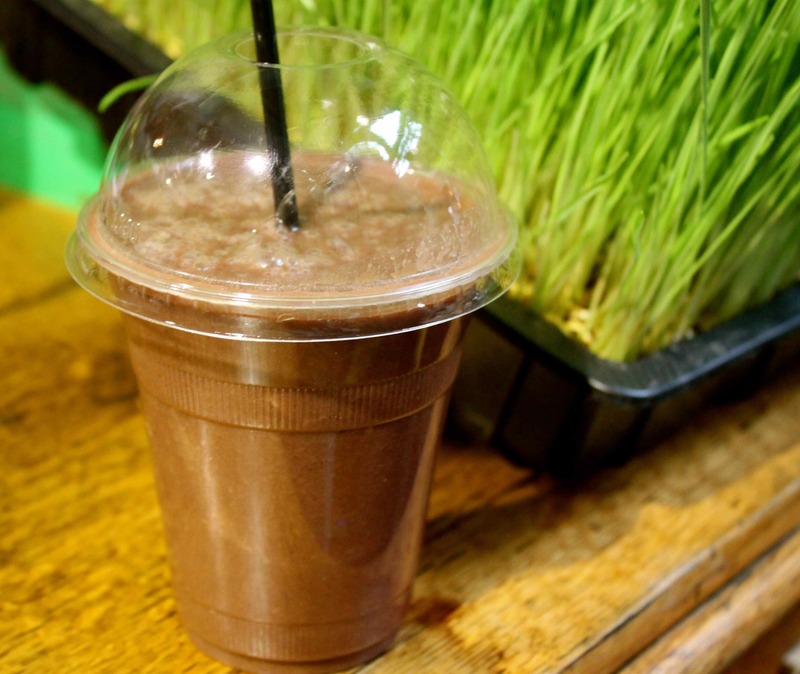 I was hungry at lunch time so I went for an organic juice while I wandered round the market. 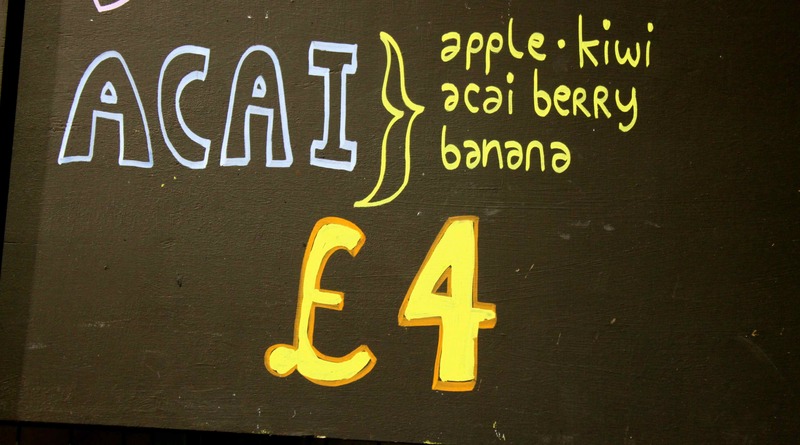 Pronounced A – sigh – ee it was delicious. Popped 3 of these babies in my shopping basket. 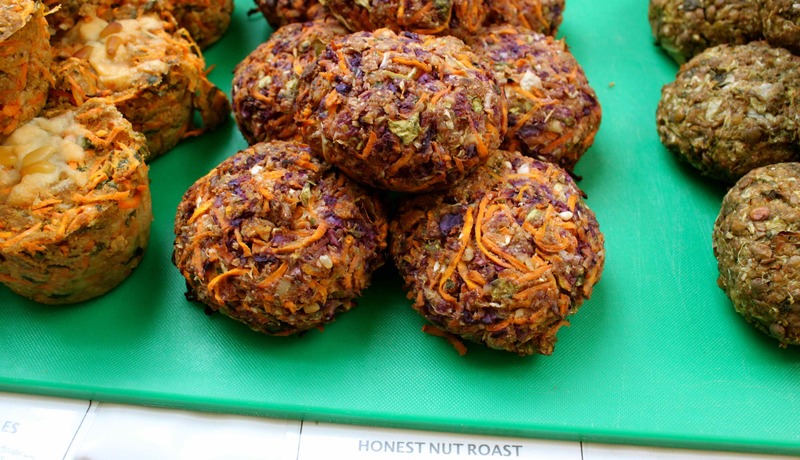 Tried a nut roast for the first time – ok but probably won’t buy again. This was amazing and I will have it again. The vegan burger with hummus from Veggie Table is fabulous. 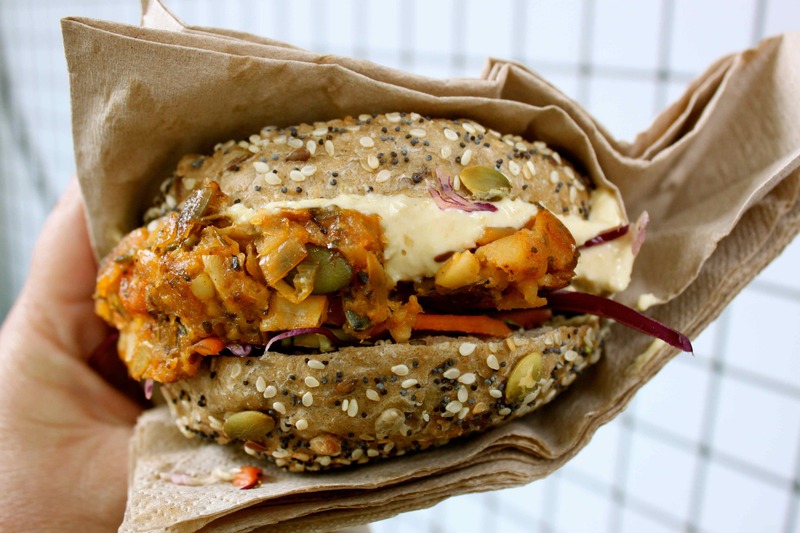 As is their Heavenly Halloumi burger which I resisted as I am trying to cut down on dairy. The vegan burger is full of flavour, it comes with salad and salsa, the hummus is an extra addition and the bread. Wow. Probably my favourite roll ever. 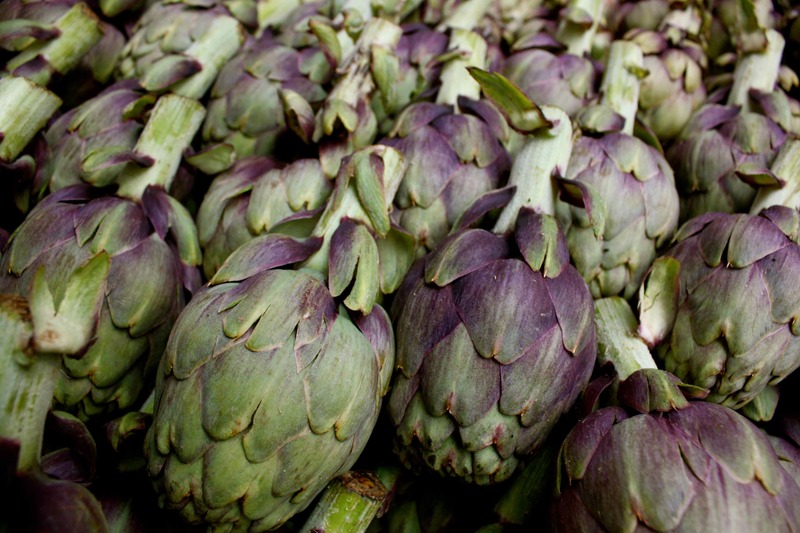 Chewy, full of flavour and coated in seeds. Every single mouthful was a complete pleasure. YUM! 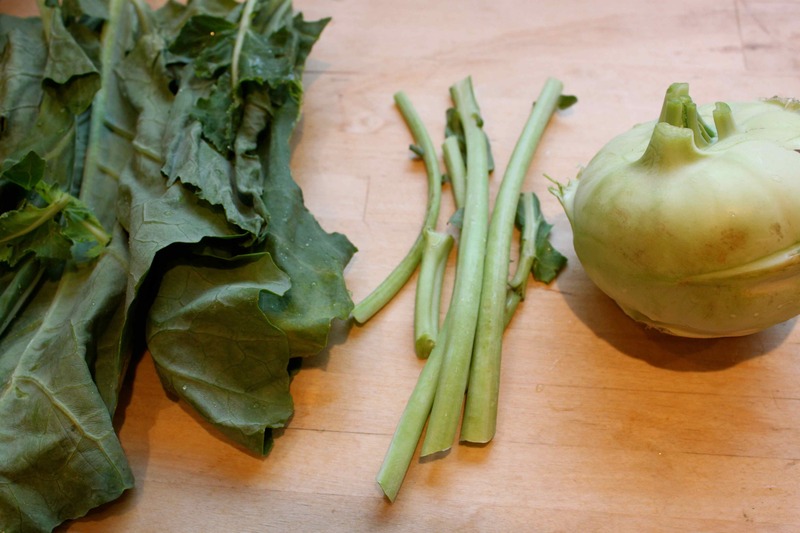 I didn’t share the kohlrabi recipe I made the other day when I made it fresh so here it is today instead. 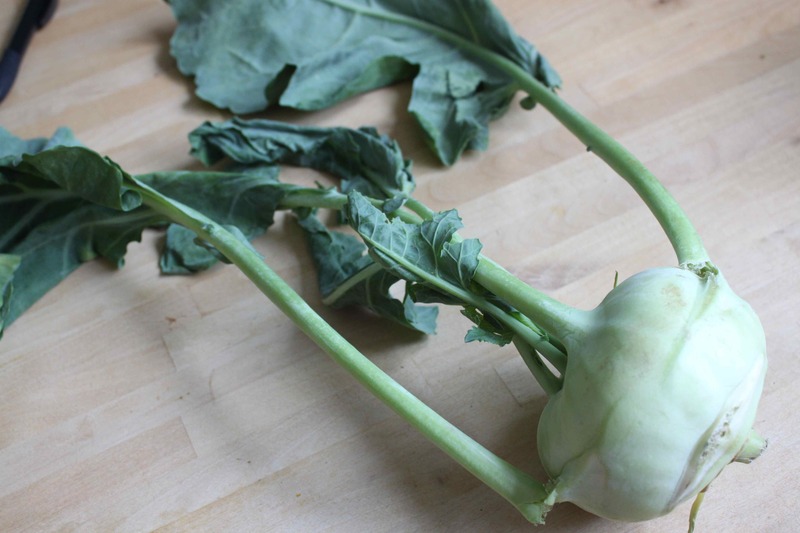 I am on a quest to try every vegetable in Turnip and last Friday I bought my first ever kohlrabi. A curious creature with a corm (the swollen stem of a cabbage apparently) stems and leaves. 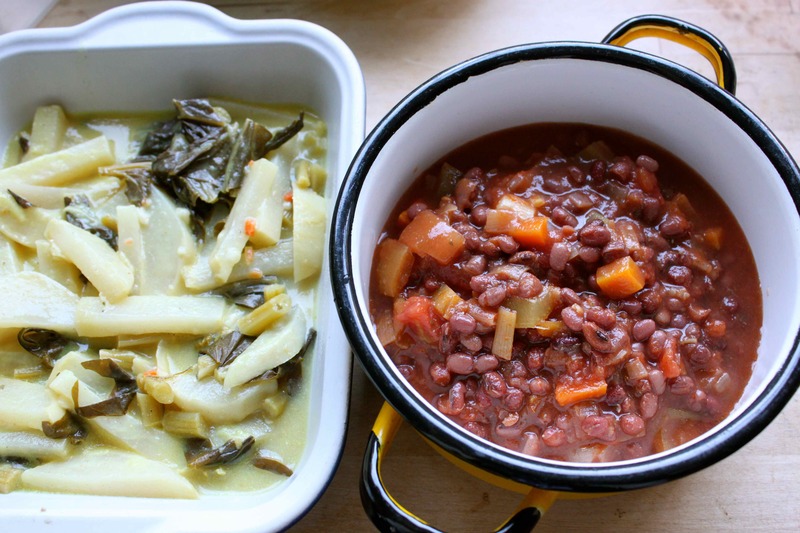 and used it to make a recipe from Sophie Grigson’s fantastic book Vegetables. 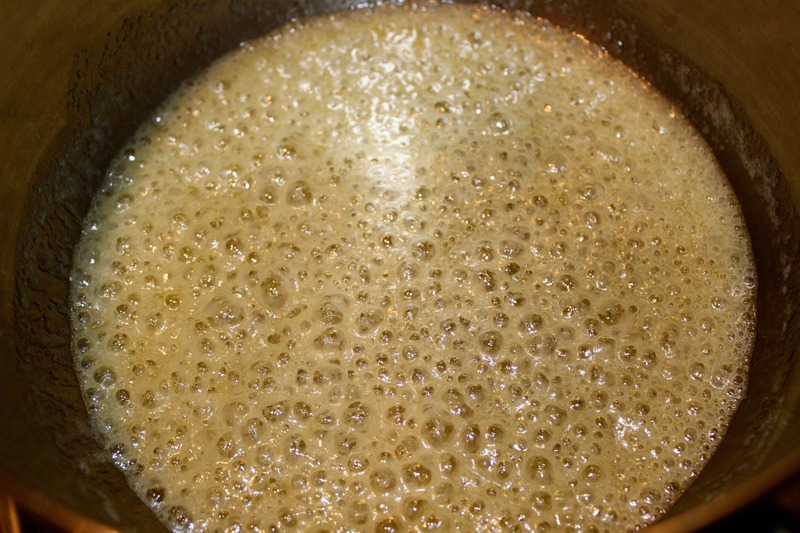 Add the sugar and cook until the butter begins to turn golden brown. 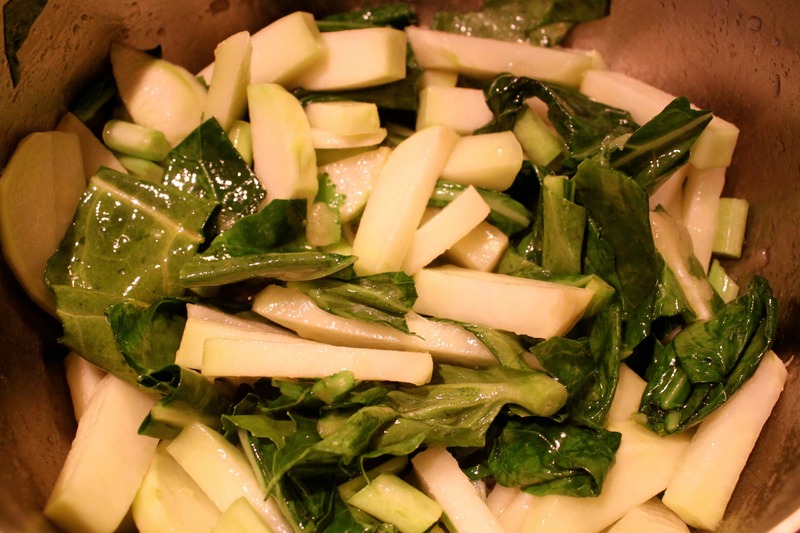 Add the kohlrabi and the vinegar and simmer for about 10 minutes. 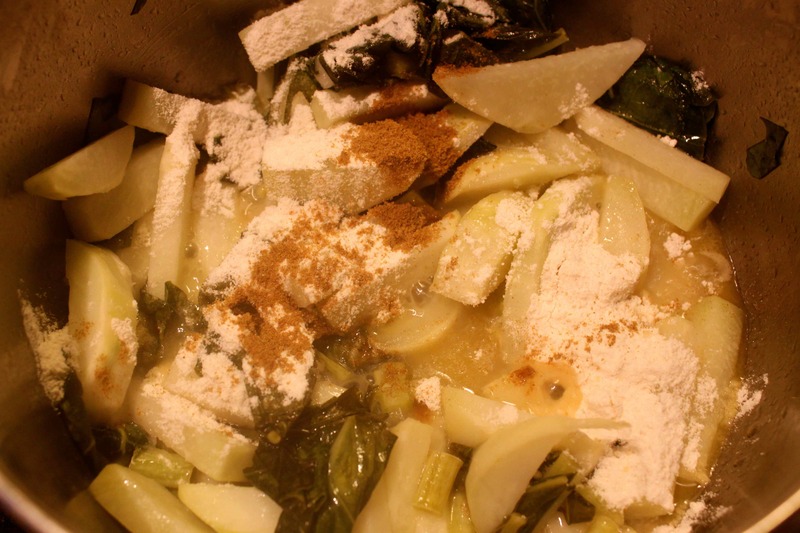 Add the flour and cumin and gradually stir in the stock. 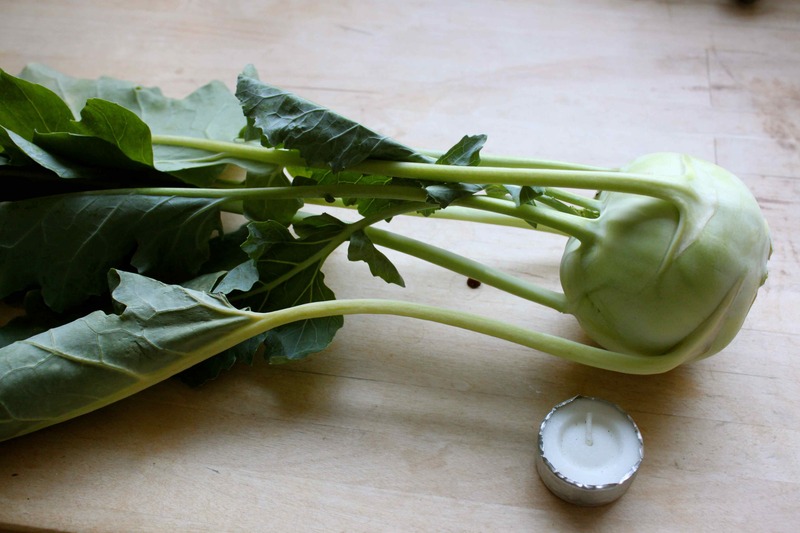 Continue cooking until the kohlrabi is cooked (mine took about 20 minutes slowly simmering with the lid on). 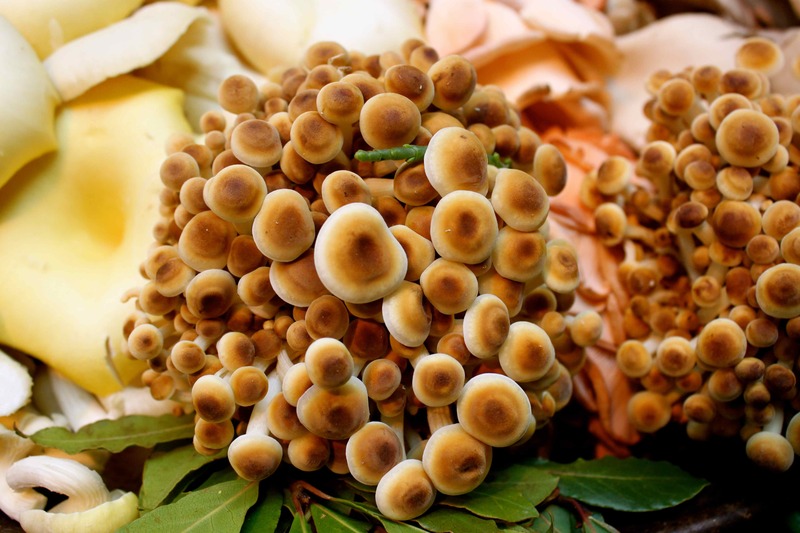 I really liked it and want to try it raw as apparently it is lovely raw as long as you buy a small one. So today I did just that. I chose the smallest one in the shop and as a size comparison put it next to a tea light. I find them slightly strange but also curiously lovely to look at. 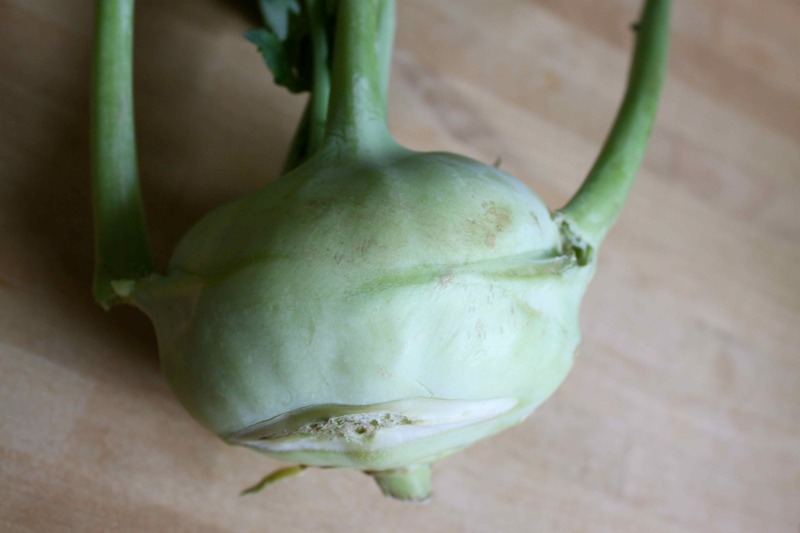 This entry was posted in Recipe and tagged Apricot, Kohlrabi. Bookmark the permalink. 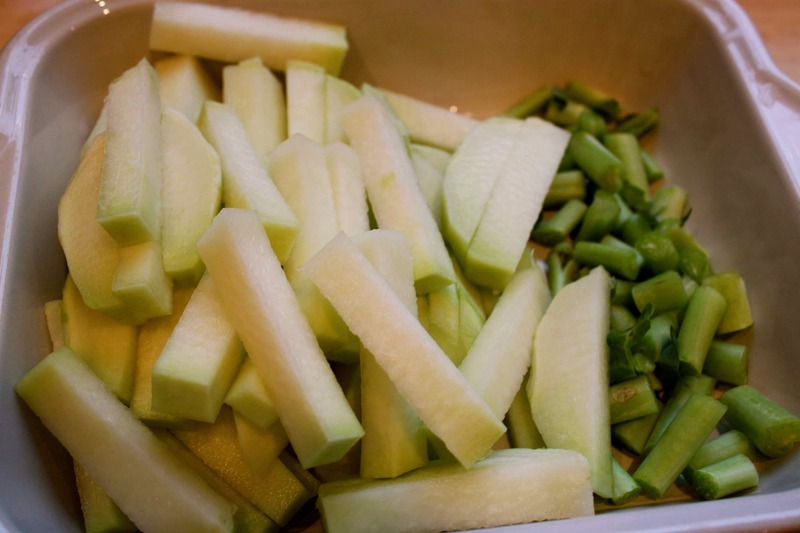 I don’t know where you find these veggies. They are probably in abundance downtown Toronto at The St. Lawrence Market, but there is a place I haven’t gotten to in decades…literally. I envy your journey.